GREAT Britain youth international steeplechaser Will Battershill claimed his first major 10k road race victory on home soil on Saturday evening. 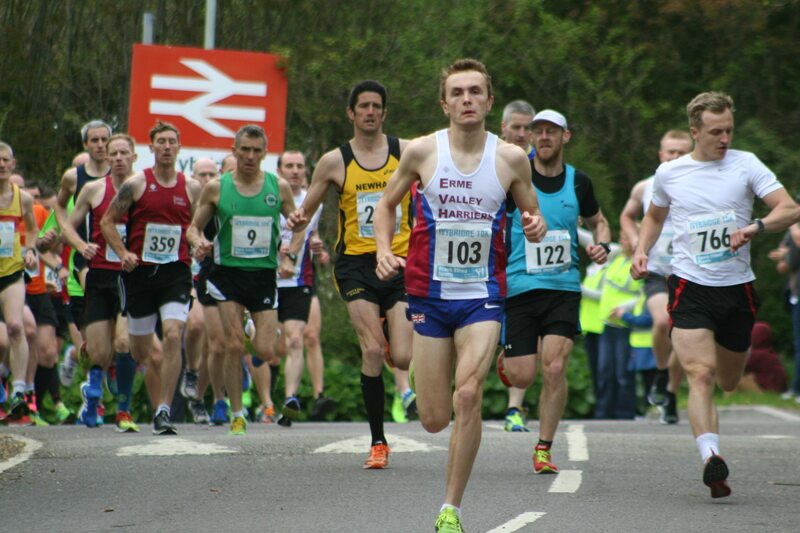 The 18-year-old Erme Valley Harriers star won the popular Ivybridge 10k. Battershill beat previous winner and course record holder Kairn Stone to the title. The Ivybridge Community College pupil took the honours in a time of 32 minutes and 37 seconds. That was more than a minute in front of Stone, who clocked 33:39. South Devon’s David Hampton was third in 34.44. The next two athletes home were both over-50 runners, with City of Plymouth’s European Masters’ 1,500m indoor champion Simon Anderson coming fourth in 35.02 and Torbay’s former winner Peter Monaghan fifth in 35.27. Plymouth Harriers’ over-40 veterans Chris Aldridge (35.32) and Steve Hill (35.59) sixth and seventh and Tamar Trotters over-40 runner Peter Waumsley was eighth. South Devon’s Michelle Crowley was first women home in 39.15, with Erme Valley Harriers’ Cleo Perry second and first over-40 in 39.31. South Devon’s Gemma Body was third women in 42:29. City of Plymouth’s Paula Simson was first over-40 female in 42:51. Plymouth Harriers won the men’s team award, with South Devon claiming the women’s prize. An impressive 745 runners finished the event, which is organised by Erme Valley Harriers.